Manufactured by Sicma in Italy. 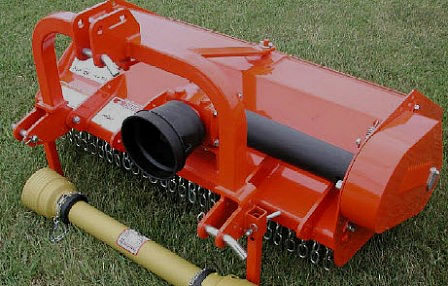 Phoenix standard duty model SLE three point Flail Mowers are made in Italy by the historic - world famous quality leader: the Sicma Corporation. Prices are FOB our distribution center near Wilson, NC. You may arrange for picking up the products at our warehouse, prepaid, prescheduled, weekdays 9 AM - 4:30 PM. We have very low shipping rates and will ship direct to your location, nearby business or freight terminal. See detail below. See details about shipping. Click here. MODEL TE - 205-MO, HD Manual Offset, Cuts 79"
MODEL TE - 205-HO, HD Hydraulic Offset, Cuts 79"
MODEL TE - 220-MO, HD Manual Offset, Cuts 87"
MODEL TE - 220-HO, HD, Hydraulic Offset, Cuts 87"